from Russia with love: why do russians smile so seldom? The meaning of a smile? Why do Russians smile so seldom? We often hear from foreigners that Russians rarely smile (especially people living in big cities). We don’t notice it but in comparison to other eastern and western countries it is right. Meaning what? Russians rude, impolite, ill mannered, non-hospitable and so on?? I think it is deeper in national traditions. Lets’ see how it is! I have found a wonderful work in the Internet written by one of the Voronezh University Professor I.A. Sternin. I think he has given a good scientific base to this phenomenon. 1. Smile is Russian communication is not a sign of politeness. In American, English, German and Finnish communicative behavior it is. Smiles are necessary when greeting or having a polite conversation. Russian writers have pointed out many times that a typical American smile seems non-natural and false to many Russians. They say, “Americans smile as if they are electric lights turned on”, “their smile is something chronic”, “an American face is mainly teeth”. I don’t mean to hurt Americans :) I’m trying to defend Russians from those blaming them of non-smiling. Western smiles greeting someone mean pure politeness. The more a person smiles the more friendliness he/she is showing to his/her partner. Japanese girls at the entrance to a moving staircase in large supermarkets smile and bow to each customer - 2500 smiles and bows per day! Russian people don’t smile out of politeness. Visa versa, it is considered to be bad to smile without any significant reasons. The Russian phrase “he smiled out of pure politeness” implies a negative attitude to the smiling person. A constant polite smile is considered a “smile on duty” in Russia and shows people’s insincerity, closeness and unwillingness to show real feelings. 2. Russian people do not smile at strangers. Russians smile only at their fellow guys. That’s is why shop assistants never smile at customers (they don’t know them personally!:). If a shops-assistant knows a customer she shall smile at him/her. 3. It is not typical to Russian to give a smile in return. An American wrote in the “Izvestiya” paper, “I don’t know hwy but when looking at Russian custom officers checking our passports and smiling at them we never get a smile in return. When our eyes meet the eyes of some person walking along a street in Russia we never get a smile back.” It is true: if a Russian person sees a stranger smiling at him he/she is certain to seek the reason of fun. Maybe something in his/her clothes or hairdo makes the gun so cheerful? 4. It is not typical for Russian to smile at a person whose eyes you met with your eyes by chance. Americans smile in such a case but Russians turn off their eyes. 5. Russians don’t smile altogether looking at babies or pets. (I think it is a controversial utterance). 6. A Russian smile is a sign of personal attraction. A Russian smile shows that a smiling person likes you. He/she is very friendly to you. That is why Russians smile only to fellow people because they cannot favor strangers. 7. Russians do not smile when working or doing something serious. Children mustn’t smile when studying. Russian adults tell their kids, “Don’t smile, be serious at school, preparing home task and when grown ups are talking to you!” One of the most common remarks of a Russian teacher is, “Why are you smiling? Stop it and start writing”. Serving staff has never smile din Russia. Since early times clerks, salesmen, waiters and servants have been polite and courteous but never smiling. Now we have to make a smile a professional requirement to all the service staff members because it is not gonna appear otherwise:). 8. Russian smile is sincere. It is the expression of either high spirits or a good attitude to a partner. Russians do not smile without reason (for example, to make the mood of a partner better, to make him/her feel pleased or support him/her). One has to really like the person he/she is smiling at or be in very high spirits to have the right for a smile. 10. The only worthy reason of a smile in Russian communication is the wealth of a smiling person. 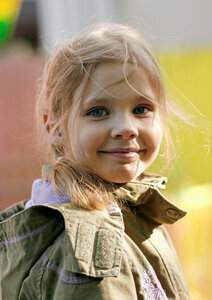 Carnegie’s call for a smile arises the following question among the Russian people, “Why smiling? No money paid, only problems all over, and you say, “smile”…” Thus, for Russians a smile is not an inherent part of communication but a reflection of their conditions, mood and material wealth. 11. It is not typical for the Russian communicational culture to smile in order to cheer up or make others cheer up. A Russian person will hardly smile without evident wealth or very high spirits. A certain Japanese documentary about the emergency landing showed the episode with a stewardess smiling at her passengers before the emergency landing. After the landing was over she fell down writhed in hysterics. So, she fulfilled her professional duty having calmed down the passengers. Russian public opinion condemns a smile of self-encouraging, “Her husband has left her but she is smiling”, “she has got a great number of children but she is smiling” and so on. All these phrases condemn a smile of a woman who is trying not to lose courage in a hard situation. 12. In a pure Russian consciousness a smile need a proper time for appearing. It is considered an independent action, which is very often unnecessary and annoying. Another Russian proverb says, “Business takes time, fun takes an hour”. 13. A smile should fit the situation from the point of view of the people around. The commonest situations of Russian communications do not further smiles. People do not smile in a tense situation. They say, “Not a proper time for smiling”. It is not considered good to smile near people having serious problems or troubles (if they others are aware of them of course): illness, personal problems and so on. 14. Russians do not really distinguish between a smile and laughter. They often mix up these two phenomena. Very often people say to smiling people in Russia, “What’s funny? I don’t understand!” or “Have I said something to make you laugh?”. The conclusion of the author is as follows: the Russians are cheerful and wit in general. It is natural for them not to hide their feelings and moods. However, everyday life of a Russian person has always been a constant struggle and survival; lives of many Russian people were very hard and some serious concern has become a constant expression of their faces. A smile in such circumstances is an exception meaning wealth, high spirits. Only a few people can have it altogether (and rather seldom). It is evident to everyone and very often may arise questions like “hey, why smiling?…”, envy and even dislike. Ярлыки: why do russians smile so seldom? Thank you for posting this article on "Smile". I'm Russian by origin and had this Russian opinion on American smile (often referred to as "chemical".) It took me a lot of pain and time to get over my Russian "smeh-bez-prichiny-priznak-durachiny" attitude. And I finally understood that it's one of Russians' stereotypes about Americans, and their "chemical" smiles should not be so oversimplified. What I like about the American smile is that it expresses free will, or better to say--inner freedom. For Russians it's foreign and not persivable. But what I also noticed--so many Russians really enjoy smiling after having lived in the states for a while. All we need is to be able to feel free-and the smile will imprint on our lips. Hello Lastochka, greetings from Portugal. Very interesting post; I was in Petersburg a few years ago and had difficulty communicating with Russians, who not only didn't speak any of the languages I did, but seemed unfriendly and even angry. Now I start to understand why. A little bit at least. i think mostly smiley nations like Japanese, Germand and Americans. They are the nations that made most of atrocities in latest history. They smile to look more nice, less guilty. Still many people when hear German - think of screaming Hitler and when hearing japans - think of samurai. Russians are not innocent, but we never ki9lled whole nations, we never enslaved new people (Sibiria or tatars, for instance, they were all free and kept their culture and religion, we never assimilated anyone. Poland, Finald or Baltics. Tatarstan were in Russian empire and Tatarstan still is - but they live and prosper, not dead as native americans). USSR had more atomitc bombs than americans - but we enver used it against people!